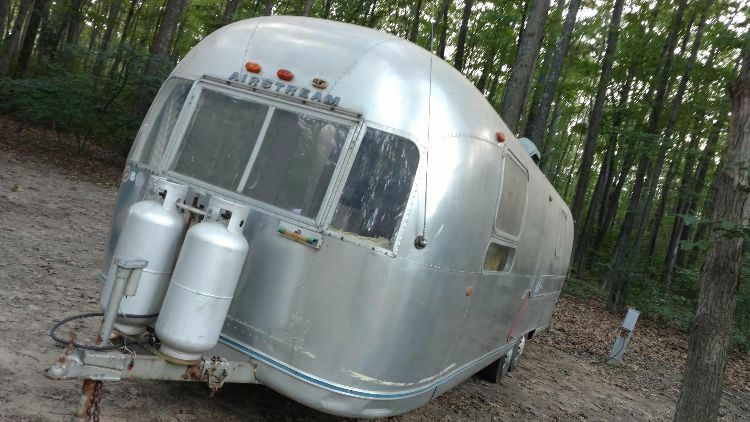 There's nothing quite like vintage Airstream, is there? When you see one of these sleek hunks of metal rolling down the highway, you're immediately transported back in time to the heyday of camping. 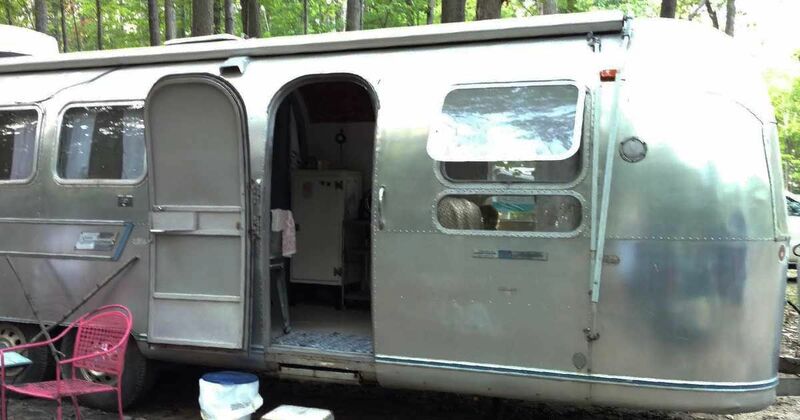 Today, we call this glamping, and this renovated 1969 Airstream is nothing short of that. 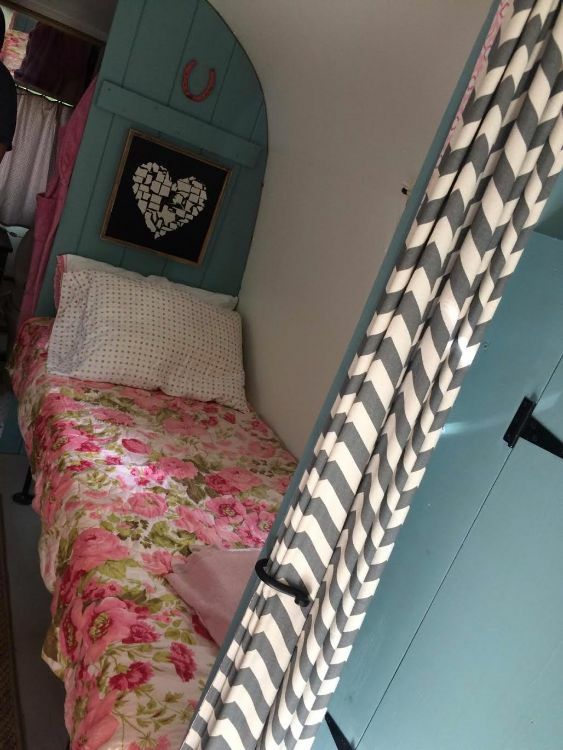 Martha and Chris Galea decorated this vintage trailer with a shabby chic interior that's just the right mix of fun, retro flair and country accents and modern touches. We adore the colors, the finishes and the obvious love and care that went into every single detail. 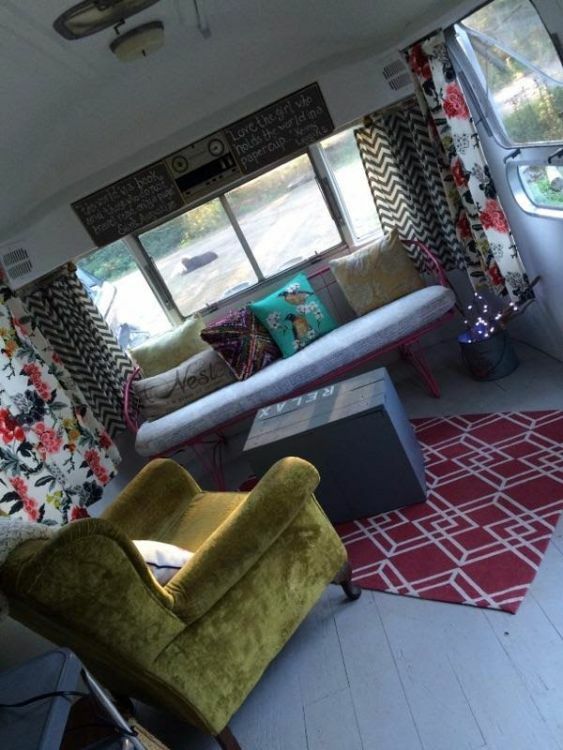 Check out this vintage living space! The painted wooden floors add a funky flair to the space. Then there's all that fun furniture, with a retro mix of wicker and throw pillows, the big velvet armchair and the geometric rug. From here you can see some of the modern details the owners have worked into the space, like this painted chest that doubles as a coffee table and that fun throw pillow on the armchair. 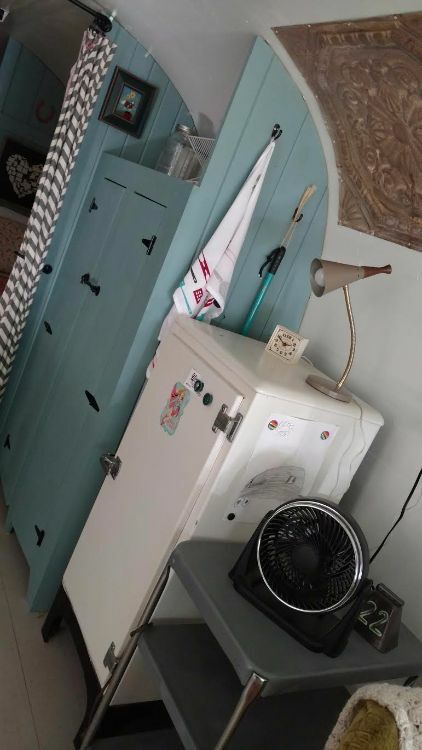 There's more vintage flair in the kitchen with an old ice chest and vintage cabinetry with original wrought-iron hinges. We also love how they've updated the cabinetry with pretty, slate blue paint for a modern finish on an otherwise retro piece. The other side of the kitchen is just as adorable. 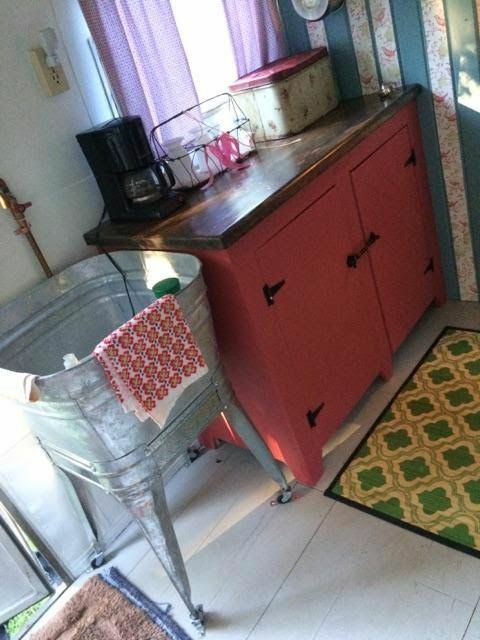 This standing washbasin doubling as storage is such a unique addition to the space, and the metal looks great contrasted against the painted cabinetry with that dark butcher block countertop. It's all in the details. 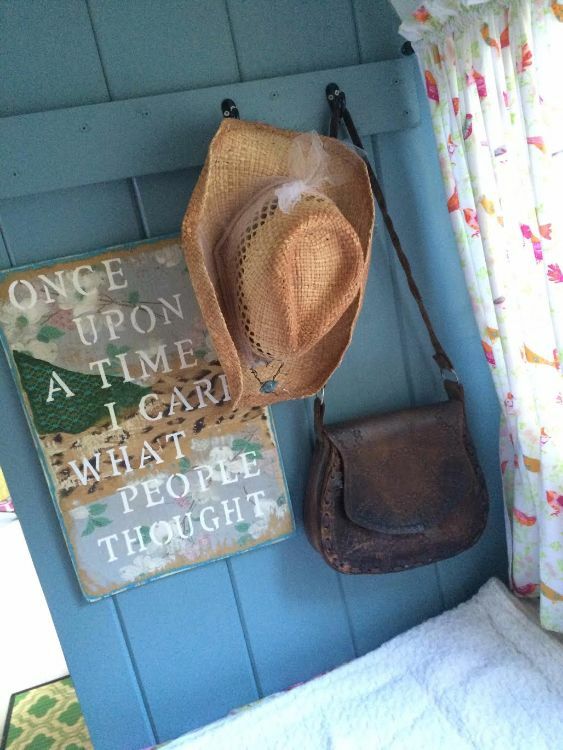 Each and every corner of this Airstream has been decorated with pretty little touches that make you feel at home. In the back of the Airstream are two twin beds decked out in beautiful quilts that continue to play on the shabby chic feel. Contrasted against the blue cabinets and the striped privacy curtain, the floral pattern really pops, and we just adore these details. Plus, there's tons of extra storage beneath the beds for your suitcases and storage. 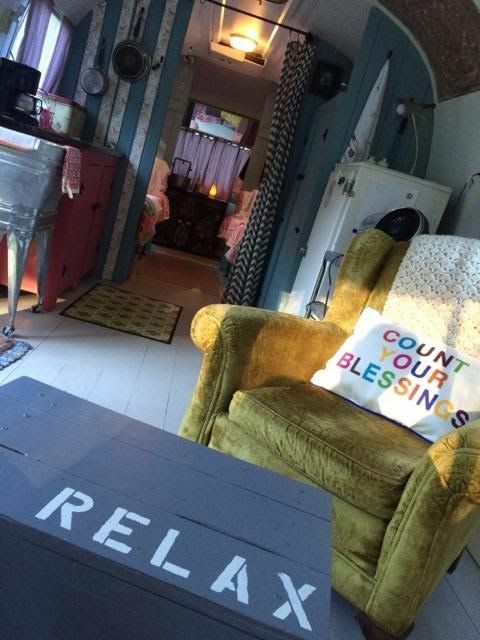 We can't get enough of this beautifully renovated, shabby chic Airstream trailer. Don't forget to share it with your friends who will love it on Facebook, Twitter and Pinterest.